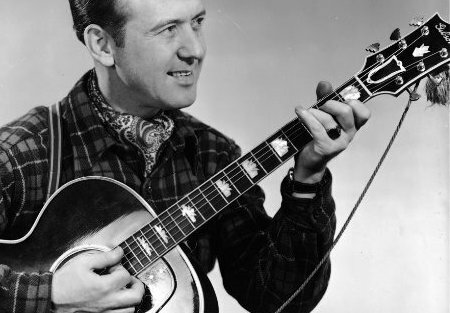 This is a solo on an old Hank Williams track by guitarist Zeke Turner. It’s approachable for a beginner and has lots of good stuff to practise in there. I’ve played it twice. Once at speed and once slow. 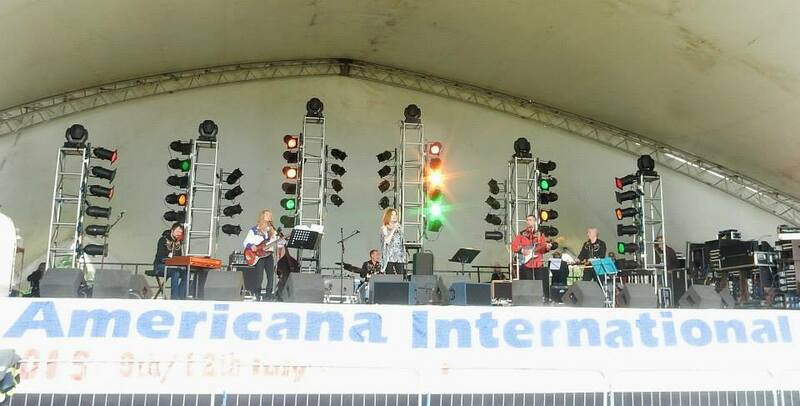 I played at the Americana International festival outside Nottingham last Saturday with Sandy Kelly and George Hamilton V. It was great to dust off those country licks and do some pickin’. It’s the last gig of our tour today. 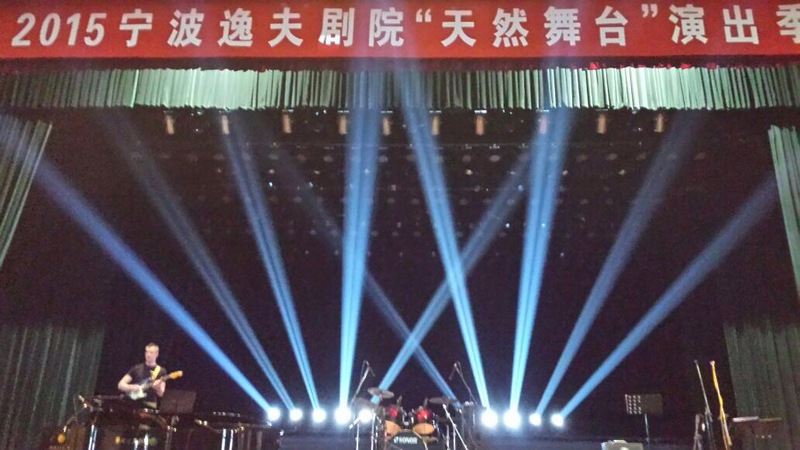 I’m in Nanjing in China and we have played 4 concerts here to beautiful and glowing audiences. The band is a Carpenters tribute act and I am on guitar and vocals. Here I am on the stage at Nangbo. Before that we played Shanghai, Shenzhen and Beijing. All big concert halls and all great craic. Tomorrow we fly back to England, but tonight… WE ROCK NANJING!!! 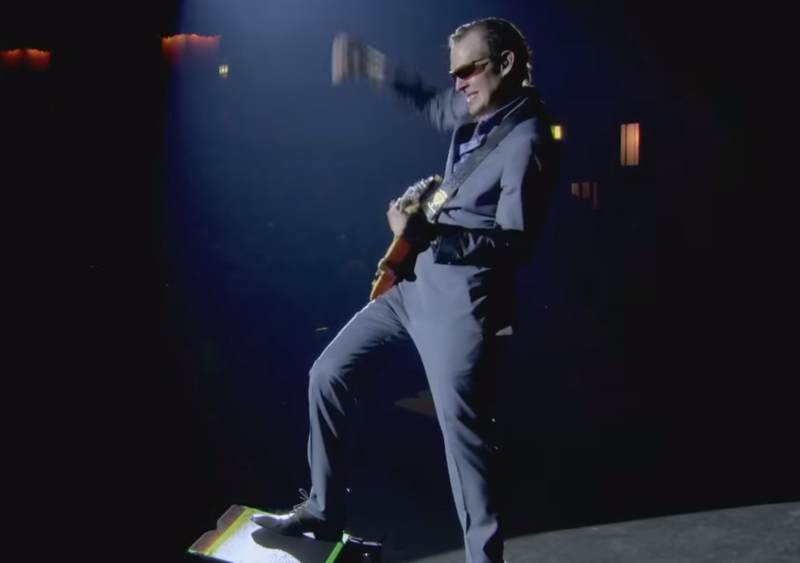 Joe Bonamassa channels Jimmy Page. I’m doing some home recording and here is how I make sure I get a good, consistent sound. I have a stereo pair of small diaphragm condenser mics (röde NT5s) and I listen to each one separately using closed headphones. 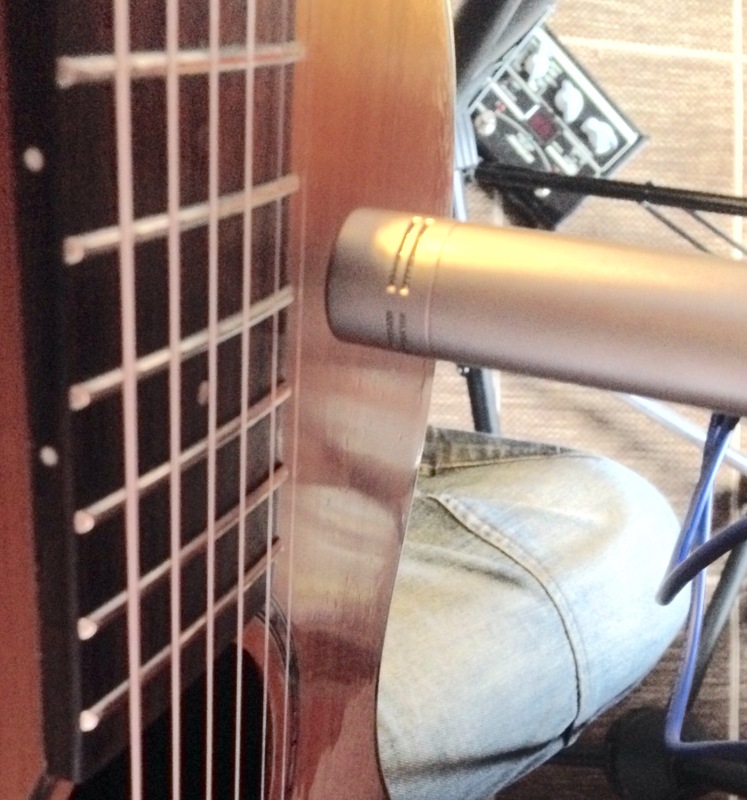 I move the guitar around the mic as I play, listening to the different qualities of sound on the soundboard. I want two distinct tones. One round and bassy, but not boomy, and one punchy and bright. I have found that close by the neck, near the hole, I get bass, and down under the bridge I get the mid and high. When I’ve got the two points, I use stickers to mark them. That way I get consistency across my takes. Here is the latest Guitar/Ukulele duet I’ve written for myself and Phil to play. 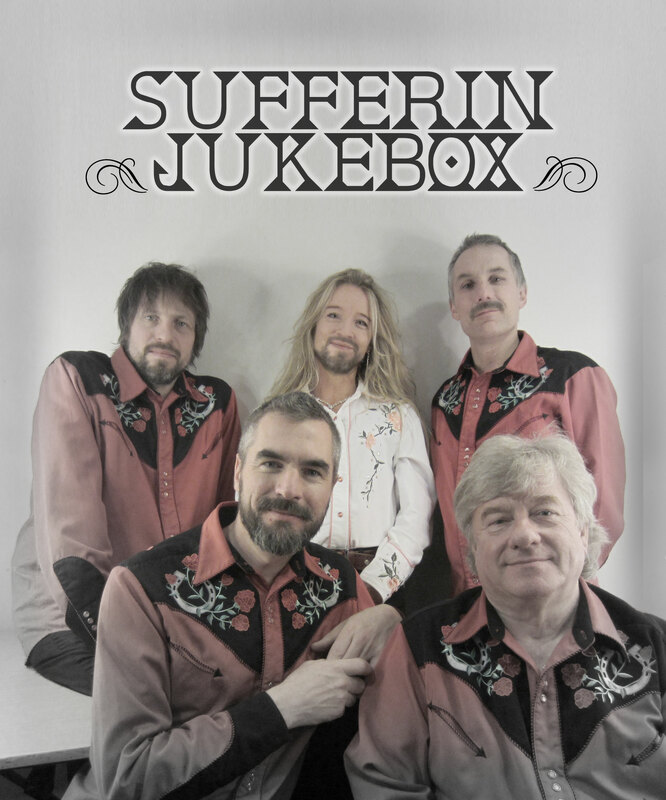 Sufferin’ Jukebox on the road, miming (badly) to Willie Nelson’s brilliant ode to touring. I’m on tour again with the country band. The same tour I did last year. It’s an absolute blast . We’re playing some beautiful venues like Aberdeen Music Hall (pictured). Feeling slightly rough today due to the pedal steel player having a bottle of whiskey in his bag. I’m playing electric and acoustic guitar and vocals too. 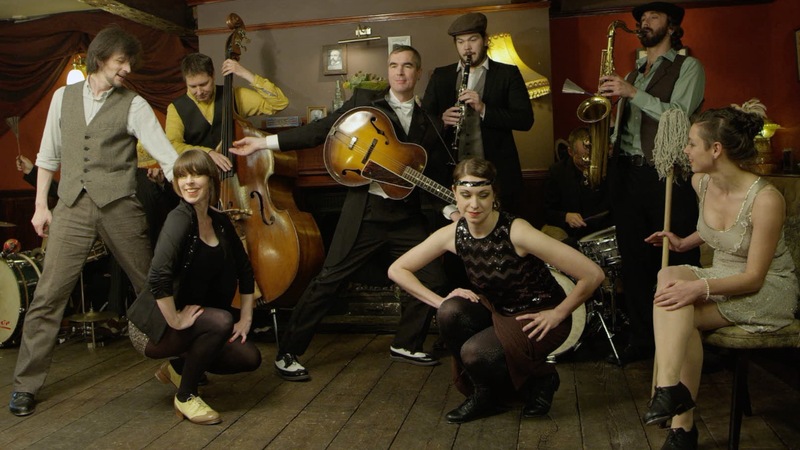 Yup, I’m off on tour again til 17th November, so no lessons til then. I’m touring country music again. Great fun for a guitarist. I’ll post some video and photos once the thing kicks off.